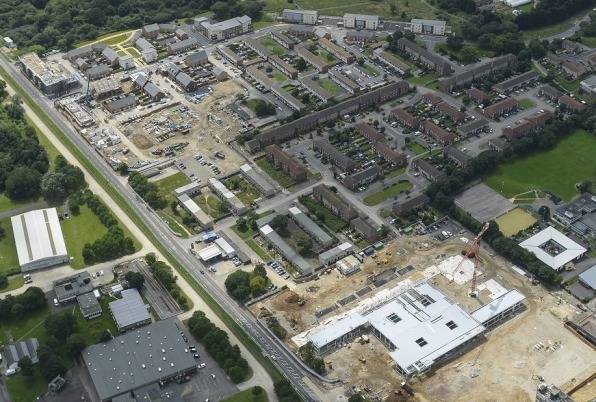 The £145 million Rowner Renewal Project at Alver Village is replacing substandard housing and a run down shopping parade with new homes and a new neighbourhood centre and supermarket. The development was awarded ‘Highly Commended’ by the LABC Awards for Excellence in 2011 (‘sites over 51 units’ category) and in 2012 was short-listed for the Premier Guarantee Build Quality Awards and Housebuilder of the Year Awards (‘best regeneration’ category). 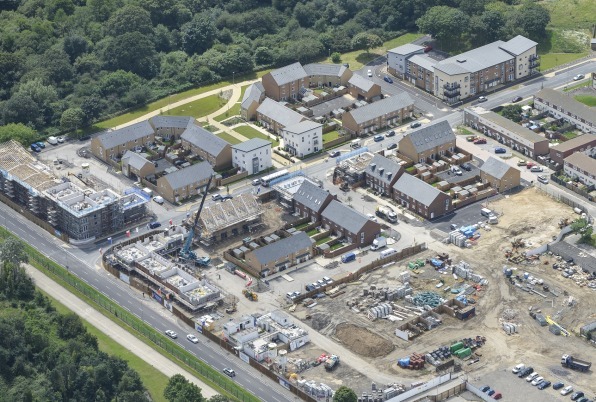 The Rowner Renewal Partnership consists of Taylor Wimpey, Hampshire County Council, Gosport Borough Council, the Homes & Communities Agency (HCA) and First Wessex Housing Association. We all work closely together and hold regular meetings to co-ordinate our complementary roles. First Wessex and Gosport BC are the landowners and have completed the compulsory purchase of all 507 old houses. Funding is being provided by the HCA (£7.5 million) and Hampshire CC (£1.5 million). We are investing over £16 million, managing the planning process, demolition and build programmes, infrastructure delivery, and the sale of new private homes. The development is being built in four phases. The first new homes were built in 2011 and phase 1 was finished in February 2013. Together the members of the consortium are making sure that those residents who want to stay on the estate can do so, whilst those that do not will be re-housed elsewhere locally. About half of the 125 affordable homes built on phase 1 have been occupied by existing Rowner residents. We have committed to providing a minimum of ﬁve construction apprenticeships on site for local residents and by the middle of 2012 three local apprentices were in place. We also aim to provide construction jobs for local people through our subcontractors and give local businesses the opportunity to tender for material supply and works contracts on site. We regularly monitor where site workers commute from and, depending on the level and type of activities on site, Gosport residents can make up as much as 35-40% of the workforce. Phase 2, which includes retail units and a supermarket, has also been completed. We secured Tesco as the anchor retail tenant. Tesco’s presence has greatly improved the social and economic sustainability of the Rowner Renewal Project, by creating the potential for approximately 150 local jobs and helping to make Rowner a destination for residents of Gosport and the surrounding area. Phase 3 has been completed with the exception of one apartment block, while construction on Phase 4 is under way. All shops and retail units have been completed and have begun trading. While developing a masterplan we carried out community engagement over a period of 18 months. We engaged with local residents and a number of stakeholder groups, such as shop and business owners, schools and the police. At meetings, workshops, exhibitions and a design weekend we listened carefully and responded to residents’ feedback and concerns. Our proposals gained overall support during the early consultation stages, with some residents eager to reserve specific properties in phase 1. We have constructed the first block of apartments in the UK that complies with the Zero Carbon Hub’s Fabric Energy Efficiency Standard (FEES). It is being tested against a second mirror image block built to the Code for Sustainable Homes level 3. Remote monitoring equipment in each apartment automatically collects and transmits data to the Zero Carbon Hub. This allows them to analyse the performance of the homes while they are occupied. The study to compare the effectiveness of the different standards is mid way through its two year programme. Site safety talks have been given to local schools. At one school we assisted with a time capsule project and at a local youth club we held a photography competition. We also produce regular newsletters to keep the local community up to date and a dedicated Rowner Renewal website holds a wealth of information on the Project. In May 2012, in conjunction with First Wessex, we held a community engagement event to present our proposals for 175 new homes on phase 3 and gain feedback (the plans could also be viewed on the website). A full planning application was submitted in August 2012 and it was approved by Gosport Borough Council’s planning committee in December 2012. All existing properties within the phase 3 area have been vacated and we started building the new homes in March 2013. Within phase 3 two pocket parks, providing outdoor recreational space for residents, will be delivered alongside the central avenue. High quality public open space and a Local Equipped Area of Play (LEAP) will be provided along The Avenue, the main road through the development. Other smaller children’s play areas will be distributed throughout the development to make sure that a playground is only a short walk away from every home. We are building all new homes to Code for Sustainable Homes level 3. By including features that increase insulation and reduce water and electricity consumption we are making the homes more environmentally friendly to run while also reducing bills for homeowners. In November 2016 Alver Village was named 'Best Development of the Year (51+ units)' at the Local Authority Building Control (LABC) Regional Building Excellence Awards. The awards recognise achievements in the construction industry - rewarding excellent buildings, outstanding companies, and partnerships and individuals that go that extra mile. 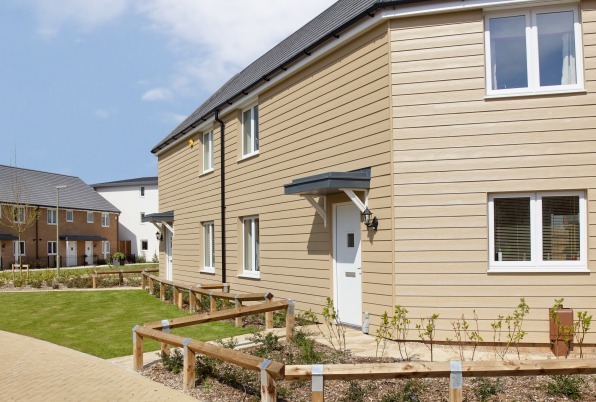 As a regional winner, Alver Village was shortlisted for the LABC Grand Finals. 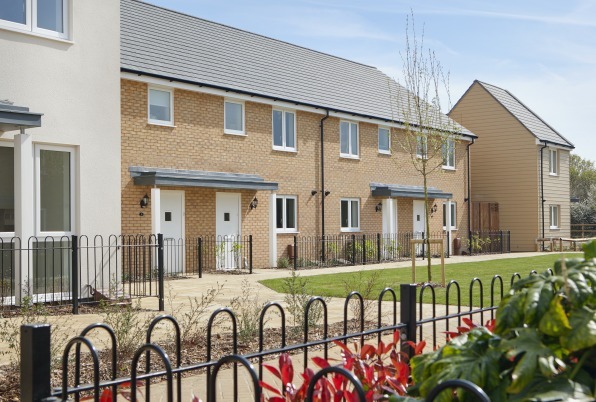 Roz Wells, Associate Sales and Marketing Director for Taylor Wimpey Southern Counties, said: "It is a fantastic achievement and a real testament to everyone involved in the site. 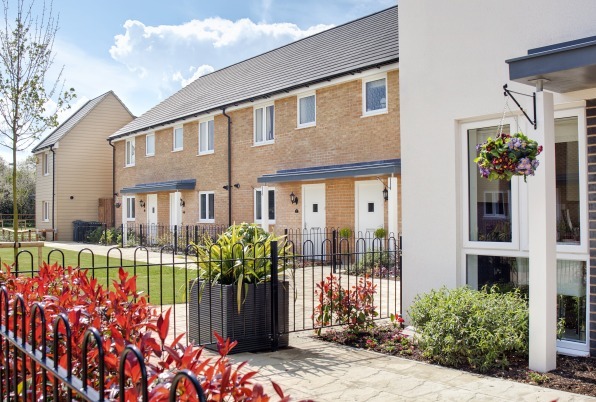 Alver Village has revitalised what was an unloved part of Gosport into a thriving new community with a fabulous selection of high-quality homes and first-rate facilities on offer. I'd like to take this opportunity to say a massive well done to our team for all of their hard work!"